Do you want to be? It’s time for me to stick my neck out a tad here and say that in the field of Business Coaching and Mentoring I consider myself to be an expert. So what makes me an expert you may ask? 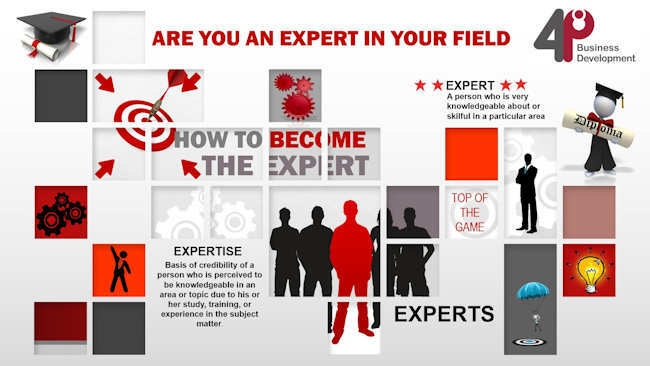 If you want to be an expert in your field, you’re going to need help to get there! It’s not just because I have been coaching most of my working life, (reflection is a beautiful thing), but it’s more about the fact that I have totally immersed myself in the field of Business Coaching. I’ve gathered as much knowledge as possible and applied it wherever possible. I have 45 years experience of running a business, I hold a business degree and a degree in coaching and mentoring. I now feel that it’s really paying off with a level of skills, knowledge, expertise and qualifications that few others possess. So how does that make me feel? I experience an elevated level of respect from my colleagues and clients. When I am coaching I am taken seriously, I am sought out by others to add my two-penneth worth in topics for debate, I feel empowered and engage in deliberate practice. Experts know their stuff. They have vast pools of knowledge, built up over many years, and can be relied upon to provide accurate, insightful answers to even the toughest questions within their field of expertise. They have an abundance of wisdom, experience, and capability-and they aren’t afraid to use it. It must lead to performance that is consistently superior to that of the expert’s peers. Real expertise produces concrete results. Becoming an expert overnight just isn’t going to happen. You are going to have to put a lot of work and dedication into becoming an expert at anything. Thorough research has shown that individuals identified as ‘ordinary’ rather than ‘talented’ can become exceptionally skilled in many fields with the right coaching. However, continued improvement beyond a certain point takes motivation, time and know-how … and many people lack all three. Once you are seen as an expert in your particular field, it can, of course, open up the door for bigger and better business opportunities. Every article I have read about becoming an expert has one thing in common: they all say you must employ a mentor or coach. So if you would like to be an expert in your field start considering who would be your best mentor or coach and take action today. Just imagine actually feeling like the confident authority you dream of becoming? See yourself talking to others and not feeling the slightest twinge of anxiety as you tell them why you are an expert in your field. I am an expert business coach and mentor who has enough knowledge, skills, expertise and qualifications to help others confidently. If that resonates with you, call me on 01280 700405 or click here to ping me an email and let’s see how I can help you to become an expert too. 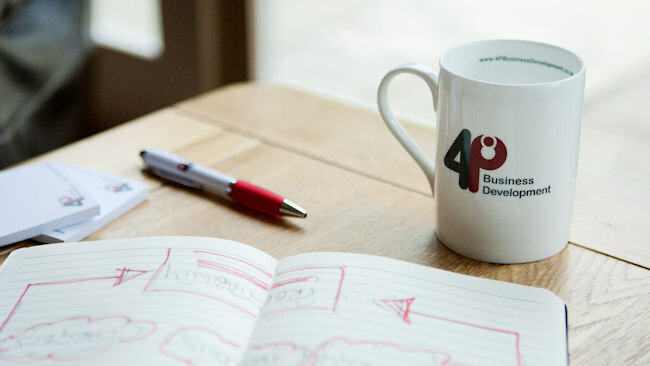 If you’re looking for a partner to help grow your business, visit www.4pbusinessdevelopment.co.uk to discover how 4P Business Development can help you! If you’ve ever wondered how a business coach can help you, read on! I am sure there was no hesitation when you learnt to drive. You will have employed the best driving instructor and paid them to teach you how to handle a car safely. A business coach never does the work for you, but here’s how a coach can help launch you and your business to the next level and to guide you to achieve your long term goals and aspirations. A business coach is not a therapist yet a qualified business coach, one that is trained in a repeatable business-building methodology and had qualifications in business, coaching and mentoring really can make all the difference. From providing a much-needed ego check to helping expand your network, a business coach can give you both the tools and perspective you need to go from where you are now to where you aspire to be. You’ll go outside your comfort zone. One great thing about having a business coach is that they know more about you than your business and will likely have no biases without your industry or company. This provides a great sounding board for unbiased discussions based on your concerns as a business owner. ”Working with Kath on our business is like having another Director on the Board who brings a huge wealth of experience, without the emotions attached to running your own business. Having worked with Kath for over 5 years, we not only make much better business decisions and are better employers as a result of her guidance, but also refer to her if we need a second opinion. Be your confidant. You can tell your coach things you wouldn’t tell others, because a coach is trained to understand and be non-judgmental. Encourage you to see your blind spots. A coach is perfectly poised to perform this critical function. Question the status quo and provide objective feedback. A coach has your best interests in mind in providing feedback and counsel to you. Provide an alternative set of eyes. Even the top performers in the world have coaches to help them see what they themselves can’t see. Hold you accountable. Your coach can help you take on more responsibility by having you report weekly on your accomplishments and initiatives. Be that alternative sounding board. As you hear yourself have a conversation new personal realizations emerge. Be source of creative ideas. You can brainstorm and try out new ideas, behaviours and mental processes as your coach provides a safe place to experiment. Work with you to create your vision. Your coach can assist you in developing your medium and long term plans for success based on your personal values, personal strengths, background and assets. Celebrate your successes and be a source of strength when you fail. Your coach can be a supportive and nurturing source of energy. Help you process life. Life is a process and a good coach can assist you in reviewing and reframing what happens in your business and your life! If you feel motivated to learn about how coaching can help you in your business then do give me a call on 01280 700405 or click here to ping me an email and let’s see how I can help you. I’m pleased that my trusted partners came together to create ‘brand me’! I have to thank so many people for all of their hard work, attention to detail and support to get me to this stage. And yes, I am very happy with the end result. They moan about this thing being in the wrong place, about that function not doing what they want it to do, about the level of service they are getting (or not getting) and how much it costs to build and maintain it online. Well, it’s my personal opinion that it is so very often their own fault. They may not have communicated their needs fully. They probably haven’t explained all about them and their business and maybe not even employed the correct people to do the job for them. So, who do you need in order to get the brand, website and printed materials you aspire to, in the time you would like it, and ensure it all fits the core values of you and your business? Always use trusted partners or experts that have been referred to you. You will find the list of my own trusted partners on my website by clicking here. A brand can be defined as a seller’s promise to consistently provide a unique set of characteristics, advantages, and services to the buyer. It is a name, term, sign, symbol or a combination of all these planned to differentiate the goods/services of one seller or group of sellers from those of competitors. And remember that every human being is a brand too. The way you socialize, who you know, what you say in real life and online, how you present yourself to the outside world, as well as the beliefs and values you project. Don’t forget to click through to visit my new website to see my new branding and leave a comment below with your thoughts. If you’d like to talk about creating your own ‘brand me’ and how it can help with your business’ profitability, do call me on 01280 700405 or click here to ping over an email and let’s see how I can help you. "Marshes know, like and trust Kath and have benefited immensely from her wisdom, experience, and encouragement. 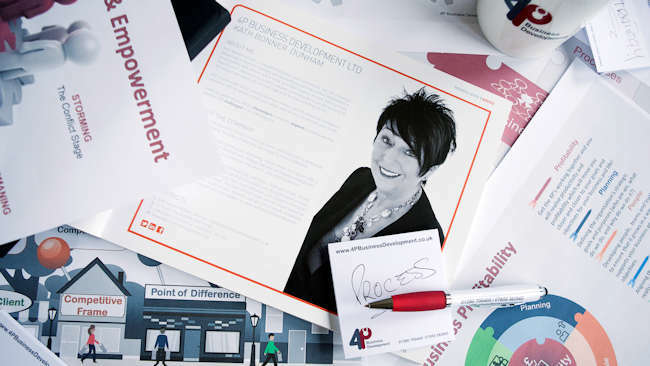 If you're looking for a professional, personal and honest intervention that will help kick your business into its next vital stage of development then arrange to meet with Kath." "Kath Bonner-Dunham gets results. She has the powerful ability to cut through the distraction, noise, and chaos that beset so many business owners today. Her refreshingly clear communication and straight-to-the-heart approach are a gift to her clients." Are you a business owner with a passion and desire to grow your business? To discuss your specific requirements and to arrange a diagnostic meeting, contact us today. Copyright © 2017. All rights reserved. 4P Business Development Ltd.
4P Business Development Ltd,11 Prices Way, Brackley NN13 6NR.